Hana Floral Studio exists by a pure love for flowers. Our respect for an organic palette carries our designs with earthy hues and romantic, whimsical textures. We thrive on everything botanical and blooming. We are inspired by nature for the sake of it’s most simple and intricate forms. We strive to create a realm of beauty, free and flowing with finesse. Hana Floral Studio resides in Napa, California, but loves to travel! Ciara Guttig is the owner of Hana Floral Studio. She has an enthusiasm for all things floral and textured. 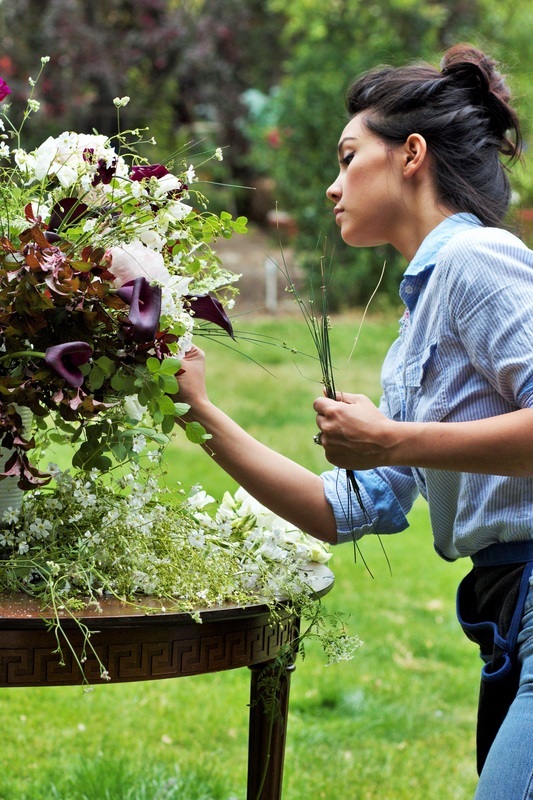 Born and raised in Napa Valley, she started working as a floral apprentice at the age of fifteen and hasn't looked back since. She loves ranunculus and the word cerulean. When she isn’t tending to her million houseplants, she prefers fly fishing with her husband and hiking out in the woods with her two babies tied to her back (although most likely foraging). Hana Floral Studio is so named as an ode to the Japanese family whom Ciara grew up with, and especially to Hanako, who has been the inspiration for many of her dreams.